Monday, November 17. The quincunx between Uranus and Mercury has us stretching to understand strange new ideas. Ideas are powerful, just as the words we use to express those ideas are important. What challenges your perception of reality? Uranus’s prime directive is to wake us up to change. Are you ready? Mercury in watery Scorpio also contacts Chiron in watery Pisces. What role does compassion play in helping you welcome uncomfortable new ideas? Identifying with someone else’s pain supports open mindedness. Thoughts turn to justice with the Moon entering Libra. Is it possible to apply the sensations of empathy and enlightenment to this desire for fairness? November 18—Balsamic Moon: Surrendering. The “surrendering” of this phase of the Moon isn’t about giving up or diminishing the value we have gained from the experiences of the lunar cycle. The surrendering I am talking about is the last bit of magic we perform in any effective spell—letting go of attachment to outcome. The journey has been taken. We’ve attained the gifts and lessons. We’ve tried our best. Now, it is time to move on. 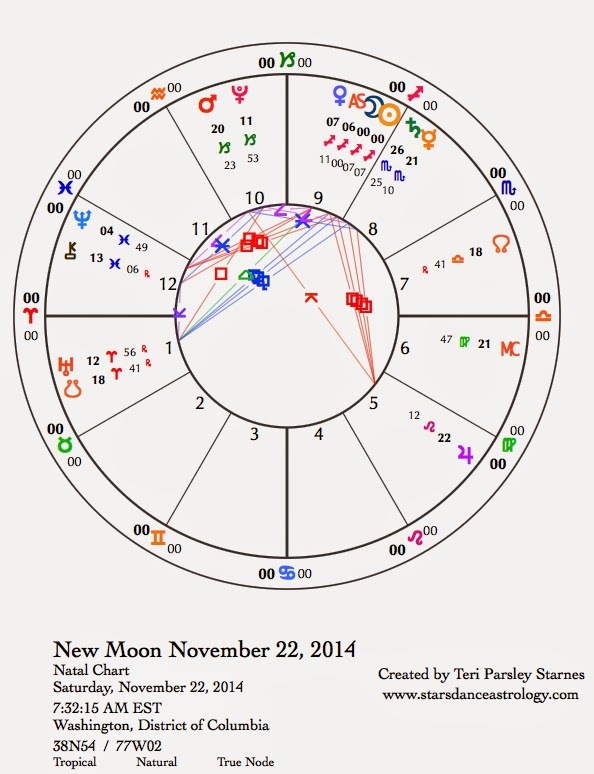 This process also prepares the ground for laying new intentions at the New Moon on November 22. How good are you at letting go? The Scorpio journey gives us ample opportunity to experience the continuum between extreme attachment all the way to a dramatic purging and cleansing. When faced with the uncertainties of transformation, how do you respond? Where is the healthy balance point for you?